AI on the Web - Links to 820 pages around the web with information on Artificial Intelligence. Allen Institute for Brain Science - Launched in 2003 with a seed contribution from founder and philanthropist Paul G. Allen, the Allen Institute takes on large-scale initiatives designed to push brain research forward. Home to custom-designed robotic systems, automated digital imaging technologies, premier bench laboratory space and all the high-powered computing hardware and software necessary for processing petabytes of data. Alzheimer's Association - The leading, global voluntary health organization in Alzheimer care and support, and the largest private, nonprofit funder of Alzheimer research. Alzheimer's Disease Education and Referral (ADEAR) Center - Helps you find current, comprehensive Alzheimer's disease (AD) information and resources from the National Institute on Aging (NIA). Alzheimer's Disease Europe - A non-governmental organisation aimed at raising awareness of all forms of dementia by creating a common European platform through co-ordination and co-operation between Alzheimer organizations throughout Europe. Alzheimer's Disease International (ADI) - Umbrella organisation of Alzheimer associations around the world. Alzheimer's Disease: MEDLINEplus - Search MEDLINE for recent research articles on Alzheimer's disease. Extensive resources. American Academy of Neurology (AAN) - A worldwide professional association of more than 17,000 neurologists and neuroscience professionals. American Board of Psychiatry and Neurology, Inc. - An independent, non-profit organization that certifies doctors practicing psychiatry and neurology, as well as their subspecialties - one of the 24 member boards of the American Board of Medical Specialties (ABMS). American Neurological Association (ANA) - A professional society of academic neurologists and neuroscientists devoted to advancing the goals of academic neurology; to training and educating neurologists and other physicians in the neurologic sciences; and to expanding both our understanding of diseases of the nervous system and our ability to treat them. Association for the Scientific Study of Consciousness (ASSC) - Promotes research within cognitive science, neuroscience, philosophy, and other relevant disciplines in the sciences and humanities, directed toward understanding the nature, function, and underlying mechanisms of consciousness. Association of University Professors of Neurology (AUPN) - Supporting academic departments of Neurology in attracting, educating, and developing physicians and physician-scientists needed to diagnose, understand and treat disorders of the nervous system. Atlas of Mouse Development - This site allows visitors to query cerebral structures of a 13.5 dpc mouse embryo and view 3-D reconstruction's of those structures as well as reconstructions of the entire embryo. The site also contains non-annotated MRI sections of several stages. These stages are currently being annotated and reconstructed. This project is supported by The Human Brain Project (NIDA and NIMH) and NCRR. Boston University: Department of Cognitive and Neural Systems (CNS)/ Center for Adaptive Systems (CAS) - CNS provides advanced training and research experience for graduate students interested in the neural and computational principles, mechanisms, and architectures that underlie human and animal behavior, and the application of neural network architectures to the solution of outstanding technological problems. CAS is an interdisciplinary research and training center whose interests intersect the areas of biology, computer science, engineering, mathematics, and psychology where formal investigations suggest new designs for computer vision, adaptive pattern recognition machines, autonomous robots, and massively parallel computers, thereby integrating basic science with the design of novel technologies. Behavioral Brain Science - The internationally renowned journal with the innovative format known as Open Peer Commentary. Particularly significant and controversial pieces of work are published from researchers in any area of psychology, neuroscience, behavioral biology or cognitive science, together with 10-25 commentaries on each article from specialists within and across these disciplines, plus the author's response to them. The result is a fascinating and unique forum for the communication and criticism. Brain - A journal of neurology. Brain - Internet destination for all those interested in the brain and brain health and fitness. News that relates to the brain, from new findings about memory and intelligence, to reports about nutritional supplements that may improve memory and cognition, to articles about the genetic foundations of the brain itself. On-line IQ, memory, cognition and reaction tests, online improvement courses, and Brain Store products, including books and brain empowering supplements. Brain and Central Nervous System Library - Explore the many functions of the brain & the central nervous system. Brain Age - Mental exercises and games. BrainHQ - A brain training system built and tested by an international team of more than 100 top neuroscientists and other brain experts. CogniFit - CogniFit Personal Coach and CogniFit Senior Driver. Happy Neuron - Brain games to stimulate your attention, language, memory, visual-spatial and executive function skills. Lumosity - Brain games, scientifically designed. Mind Evolve / Mind Sparke - Brain Fitness Pro brain training software. Brain Initiative, The (National Institutes of Health) - Brain Research through Advancing Innovative Neurotechnologies (BRAIN) Initiative is part of a new Presidential focus aimed at revolutionizing our understanding of the human brain. By accelerating the development and application of innovative technologies, researchers will be able to produce a revolutionary new dynamic picture of the brain that, for the first time, shows how individual cells and complex neural circuits interact in both time and space. Long desired by researchers seeking new ways to treat, cure, and even prevent brain disorders, this picture will fill major gaps in our current knowledge and provide unprecedented opportunities for exploring exactly how the brain enables the human body to record, process, utilize, store, and retrieve vast quantities of information, all at the speed of thought. Brain Research Imaging Center (BRIC), University of Chicago - Software under development includes acquisition programs for blood flow imaging, functional imaging of brain regions with suppression of susceptibility artifacts (e.g., near the hippocampal formation, amygdala, orbitofrontal cortex), diffusion tensor imaging, and spectroscopic imaging of metabolic parameters. Brain Workshop: A Dual N-Back Game - A free open-source version of the dual n-back brain training exercise. Learn how to play by reading this quick tutorial. Download the software. BrainGate - BrainGate's current and planned intellectual property is based on technology that can sense, transmit, analyze and apply the language of neurons. BrainGate consists of a sensor that is implanted on the motor cortex of the brain and a device that analyzes brain signals. The sensor consists of a silicon array about the size of a baby aspirin that contains approximately one hundred electrodes, each thinner than a human hair. The principle of operation behind the BrainGate System is that with intact brain function, brain signals are generated even though they are not sent to the arms, hands and legs. The signals are interpreted and translated into cursor movements, offering the user an alternate BrainGate pathway to control a computer with thought, just as individuals who have the ability to move their hands use a mouse. Brainland - Facilitate the exchange of information between the users and suppliers of neuroscience-related products and information. BrainMeta - A community site that was established for the purpose of accelerating the development of neuroscience through web-based initiatives, which include the development, implementation and support of a wide range of neuroinformatics tools, services, and databases. Brain Metrix - An educational website dedicated to brain training. Here you stretch and train your brain to the limit, you can train and test your memory, your reflex, test your brain creativity and improve it. BrainWeb: Simulated Brain Database - The SBD contains a set of realistic MRI data volumes produced by an MRI simulator. These data can be used by the neuroimaging community to evaluate the performance of various image analysis methods in a setting where the truth is known. Center for Neuroscience, University of California, Davis - Research at the Center is diverse, covering the major sub-disciplines and techniques in neuroscience and ranges from cellular and molecular neurobiology through systems and developmental neuroscience to studies of human perception, attention, memory, language, and the nature of consciousness. 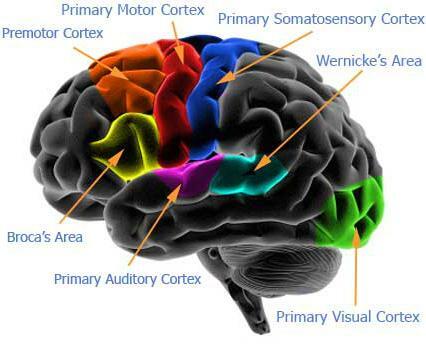 The Center places special emphasis on sensory physiology, on the molecular-genetic basis of neuronal function and its development, on the search for genetic markers in psychiatric diseases, in addition combining information obtained from different brain-imaging techniques, including fMRI, and ERPs, for the study of human cognition and the development of improved methods to treat brain injury and disease. Centre for the Mind - Developing scientific ways to enhance creativity. Cleveland FES Center - A leader in developing advanced techniques to restore function for persons with paralysis. Focus is on functional electrical stimulation (FES) systems that improve health, productivity and quality of life. Clinical Neurophysiology on the Internet - Resources, links, search engine. Cognitive Science Society, Inc. - Brings together researchers from many fields who hold a common goal: understanding the nature of the human mind. The Society promotes scientific interchange among researchers in disciplines comprising the field of cognitive science, including artificial intelligence, linguistics, anthropology, psychology, neuroscience, philosophy, and education. Cognitive Sciences EPrint Archive (CogPrints) - CogPrints is an electronic archive for papers in any area of psychology, neuroscience, and linguistics, and many areas of computer science (e.g., artificial intelligence, robotics, vison, learning, speech, neural networks), philosophy (e.g., mind, language, knowledge, science, logic), biology (e.g., ethology, behavioral ecology, sociobiology, behaviour genetics, evolutionary theory), medicine (e.g., psychiatry, neurology, human genetics, imaging), anthropology (e.g., primatology, cognitive ethnology, archeology, paleontology), as well as any other portions of the physical, social and mathematical sciences that are pertinent to the study of cognition. Comparitive Mammalian Brain Collections - Images and information from one of the world's largest collection of well-preserved, sectioned and stained brains. Viewers can see and download photographs of brains of over 100 different species of mammals (including humans) representing 17 mammalian orders. Developmental Cognitive Neuroscience - Publishes theoretical and research papers on cognitive brain development, from infancy through childhood and adolescence and into adulthood. Digital Anatomist Project - Provides -D and 3-D views of the brain from cadaver sections, MRI scans, and computer reconstructions. Exploratorium: The Memory Exhibition - Memory, a major exhibition at the Exploratorium, ran from May 22, 1998 through January 10, 1999. More than 40 new exhibits grouped into six broad areas guided visitors through the labyrinth of memory from personal, social, cultural, psychological, and neurological perspectives. Federation of European Neuroscience Societies (FENS) - All national neuroscience societies and most other societies in the field of the neurosciences in Europe are members of FENS. Founders of Neurology - A photographic exhibit of some of the founders of neurology. Gazzaley Lab - A cognitive neuroscience research lab at the University of California, San Francisco focused on studying the neural mechanisms of memory and attention, how these processes change with normal aging and dementia, and how we might intervene therapeutically to alleviate memory and attention deficits. The lab utilizes state of the art techniques and analytical approaches to address its scientific and clinical goals by coupling behavioral assessments, functional magnetic resonance imaging (fMRI), electroencephalography (EEG) and transcranial magnetic stimulation (TMS). Currently looking for healthy 60- to 90-year-old participants for studies of memory and attention. GENESIS Simulator - GENESIS (short for GEneral NEural SImulation System) is a general purpose simulation platform which was developed to support the simulation of neural systems ranging from complex models of single neurons to simulations of large networks made up of more abstract neuronal components. Global Brainstem - Web edition of neuroanatomy course book used by first-year medical students at the University of Wisconsin Medical School (UWMS). Human Brain: Dissections of the Real Brain - A textbook by Terence H. Williams, M.D., Ph.D., D.Sc., Nedzad Gluhbegovic, M.D., Ph.D., and Jean Y. Jew, M.D. Human Brain Proect at Caltech - The central theme of this project is to apply newly emerging computational techniques to in vivo optical and Magnetic Resonance Imaging (MRI) of the developing brain. Human Connectome Project (HCP) - This $30M NIH-funded project is mapping long-distance neural pathways in the brains of 1,200 healthy adult humans. Institute for Noetic Sciences - Supports scholarly research on consciousness, including perceptions, beliefs, attention, intention, and intuition. The Institute explores phenomena that do not necessarily fit conventional scientific models, while maintaining a commitment to scientific rigor. International Brain Research Organization (IBRO) - Representing the interests of about 51,000 neuroscientists in 111 countries in the world. Journal of Cognitive Enhancement - Covers methods of enhancing human perception, attention, memory, cognitive control and action in healthy individuals. Journal of Neuroscience - Official journal of the Society for Neuroscience. Laboratory for Neuroengineering, Georgia Tech - Wet-lab neurobiology, electronics, neuroimaging, modeling, and multi-dimensional data analysis. Explores neural processes such as motor control, learning, information processing, response to physical trauma, and the role of complex dynamics in the nervous system. Designs software, mechanical systems and electronic systems to interact with and interface to neural tissue, creating hybrid systems consisting of living and engineered components. Literature, Cognition and the Brain - Research at the intersection of literary studies, cognitive theory, and neuroscience. LONI: The Laboratory of Neuro - Developing brain models that track and analyze complex patterns of dynamically changing brain structure in development and disease. McConnell Brain Imaging Centre, Montreal Neurological Institute, McGill University - One of the largest scientific communities in North America dedicated solely to research imaging of the human brain. Medline Plus: Memory - It's normal to forget things once in awhile. We've all forgotten a name, where we put our keys, or if we locked the front door. But forgetting how to use the telephone or find your way home may be signs of a more serious problem. These include Alzheimer's disease or other types of dementia, stroke, depression, head injuries, thyroid problems, or reactions to certain medicines. Meeting of Minds: European Citizens' Deliberation on Brain Science - Citizens from nine European countries discuss what they think should be done with our new-found knowledge of the brain. They debate the ethical, social and legal implications with international experts. The citizens' conclusions on the use of new technology, medicines and techniques will be offered to policy-makers at the European, national and transnational level. MetaNeuron Program - A computer program that models the basic electrical properties of neurons and axons. The program is intended for the beginning neuroscience student and requires no prior experience with computer simulations. Mind/Brain/Memory - A special section of Columbia University's research magazine 21stC. MITECS - The MIT Encyclopedia of the Cognitive Sciences. MITECS classifies the cognitive and brain sciences into six domains: (1) computational intelligence (2) culture, cognition, and evolution (3) linguistics and language (4) neuroscience (5) philosophy, and (6) psychology. Each section contains an extended series of brief entries on the defining research topics of the domain. MuSICA - Reports and critical analysis of research on music and behavior, including education, child development, psychology, cognitive sciences, neuroscience, clinical medicine, music therapy and allied fields. MyBrainTrainer - Exercises designed to stimulate different parts of your brain and improve your cognitive function and brain processing speed. National Brain Tumor Society - Basic information about brain tumors. National Institute on Agine (NIA) - Leading U.S. research agency on aging and Alzheimer's disease. Health information for seniors, caregivers, professionals. Grants and training information for researchers on biomedical, social, and behavioral aspects of aging and prevention of age-related diseases and disabilities, including Alzheimer's disease. Neural Signals, Inc. - Supports research and development of direct brain-machine interface technologies to assist people with complete paralysis, or "locked-in" syndrome. Neuro-Net - A comprehensive online resource center that addresses information needs in the field of neurology. It is currently organized under five diseases: Acute Stroke, Dementia, Epilepsy, Movement Disorders, and Multiple Sclerosis. Neurology - Official journal of the American Academy of Neurology. Neuron - Publishes reports of novel results in any area of neuroscience. Neuropathology - An illustrated, interactive course, designed to teach neuropathology to medical students and residents. Neuroguide - Neurobiology, neurology, neurosurgery, psychiatry, psychology, cognitive science sites and information on human neurological diseases. Neuroscience Resource Page - Web-related neuroscience readings and texts presented by the University of Wisconsin Department of Anatomy. North East Under/graduate Research Organization for Neuroscience (N.E.U.R.O.N.) - Supports undergraduate and graduate neuroscience education and research in the northeast region of the U.S.
NPAC/OLDA Visible Human Viewer - Allows you to select and view high-resolution images of 2-dimensional slices of a human body, using image data taken from the National Library of Medicine's Visible Human Project. Project on the Decade of the Brain - A ten-year initiative of the Library of Congress and the National Institute of Mental Health (NIH) to educate Congress and the public about brain research and its mental health implications. Psyche - An interdisciplinary journal of research on consciousness. Research Imaging Center (RIC) - A department-level organization entitity within the University of Texas Health Science Center at San Antonio (UTHSCSA) dedicated to biomedical imaging research. Human neuroscience research is RIC's highest priority. Seeing, Hearing and Smelling the World - Making sense of our senses - a report from the Howard Hughes Medical Institute. SenseLab Project - An effort by international researchers to build integrated, multidisciplinary models of neurons and neural systems, using the olfactory pathway as a model. The project involves extensive use of computer networks, databases and other tools to collect, analyze and disseminate neuroscience information. Sharp Brains - An independent market research firm and think tank covering the brain fitness market. Society for Neuroscience (SfN) - A nonprofit membership organization of scientists and physicians who study the brain and nervous system. Since its inception in 1969, the Society has grown from 500 members to over 40,000. Today, SfN is the world's largest organization of scientists and physicians devoted to advancing understanding of the brain and nervous system. Springer - Neuroscience journals, bboks, and reference works. U.C. Davis M.I.N.D. Institute - A national resource for the study and treatment of neurodevelopmental disorders. UCLA Brain Mapping Center - Tools and data sets to measure brain structure and function in both health and disease. University of California, Irvine: Department of Cognitive Sciences - Cognitive neuroscience, math/behavioral sicence, perception, cognition and information processing. UTHSCSA Research Imaging Center (RIC) - Biomedical imaging research, functional maaping of the human brain. Van Essen Lab, Washington University in St. Louis School of Medicine - Uses physiological, anatomical and computational approaches to study information processing in the nervous system. 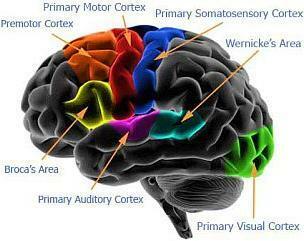 Main emphasis is on the primate visual system, particularly extrastriate visual cortex, in monkeys and humans. Whole Brain Atlas - An information resource for brain imaging which integrates clinical information with multimodality imaging data. Provides medical professionals and pre-med/med students with accurate MRI, tomographic, and nuclear medicine images which emphasize the pathoanatomy of several leading CNS (central nervous system) diseases and serve as a road-map into the human brain. This webpage last updated on Thursday, July 13, 2017 9:38 AM.